Have you seen the latest round of Project Sewn Challenges? I don’t often participate in contests or challenges, but the Project Sewn themes always seem to fit with my sewing style. 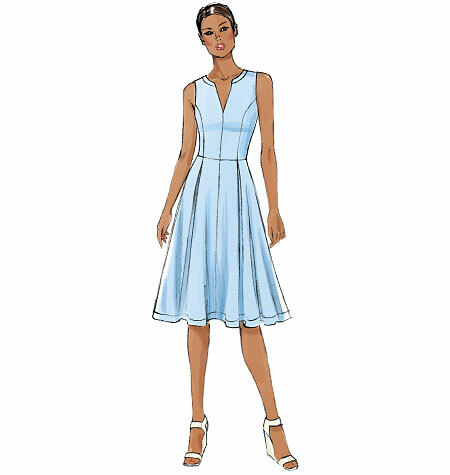 First up is the Leading Lady Challenge, making a look inspired by a movie’s leading lady. 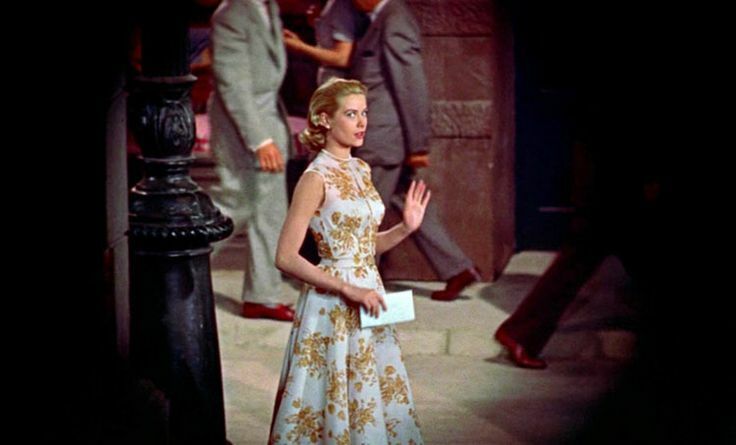 After seeing an exhibit of Grace Kelly’s wardrobe and costumes at the McCord Museum in Montreal last summer, I have admired her lady like style. 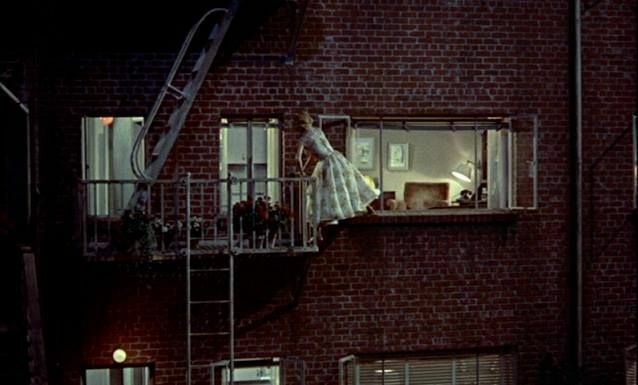 In the 1954 Alfred Hitchcock movie, Rear Window, her character worked in the fashion industry, so the fashion she wore was important to the movie. Her wardrobe was designed by Edith Head. Her boyfriend in the movie, played by Jimmy Stewart, was stuck in his apartment with a broken leg and spent much of his time watching the activities of his neighbors as entertainment. My inspiration was the day dress which, proving you can do just about anything in a dress, Grace wore while climbing the neighbors balcony. My updated version is Vogue 8993. 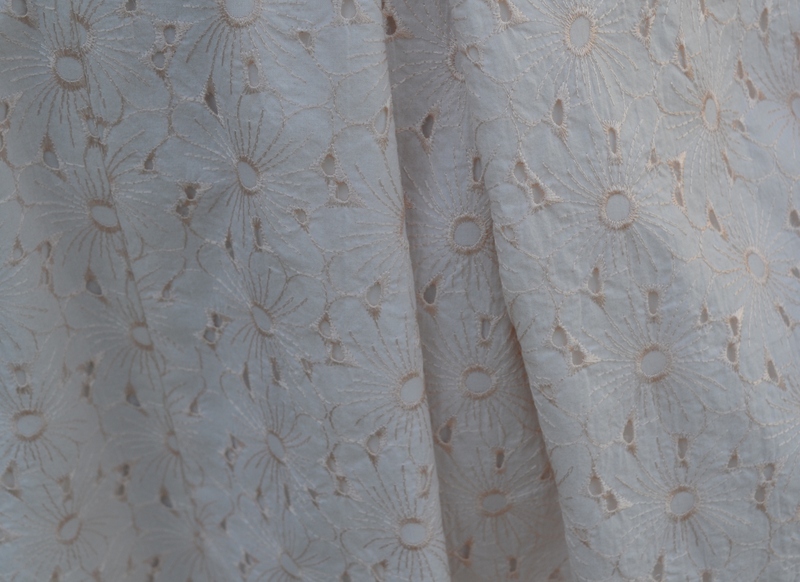 The fabric is a pale peach embroidered cotton eyelet from Mood Fabrics. 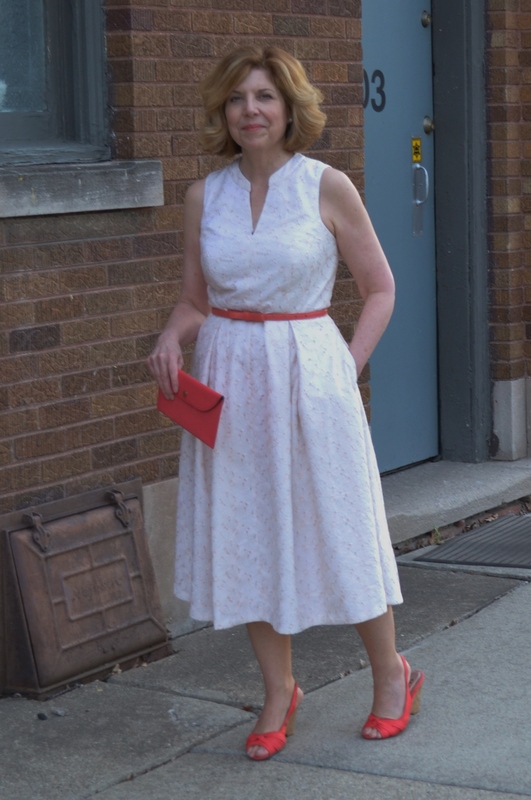 Now I have cool and comfy summer dress inspired by Grace Kelly. 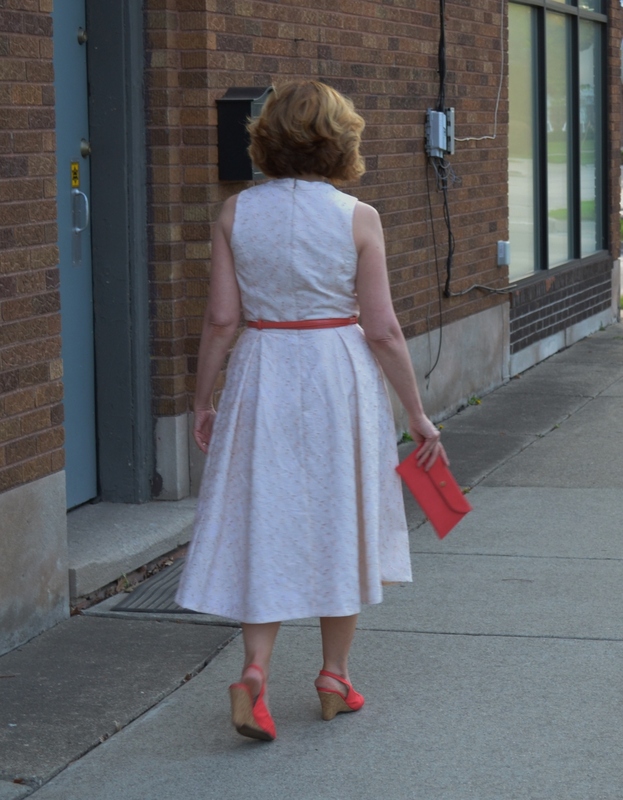 The pattern did not include the pleats in the back, but I added them to increase the fullness of the skirt. My neighbors are not nearly as intriguing as Jimmy Stewart’s and not a balcony in sight. Thanks, I hope you’re feeing better soon. Your dress is gorgeous! I love the classic feminine silhouette. Thank you, I’m so glad to see all the feminine styles available right now. This is gorgeous! You’ve captured the elegant style of Grace and it fits you wonderfully. Thanks, I had it on one day this week and had 2 sweet older ladies tell me it reminded them of how they used to dress.